Start planning your trip to Orlando's Rosen Shingle Creek. A 10-minute drive from the Orlando International Airport, the Rosen Shingle Creek Orlando Hotel is a luxury hotel conveniently located near golfing, dining, and shopping options! Hello Florida! 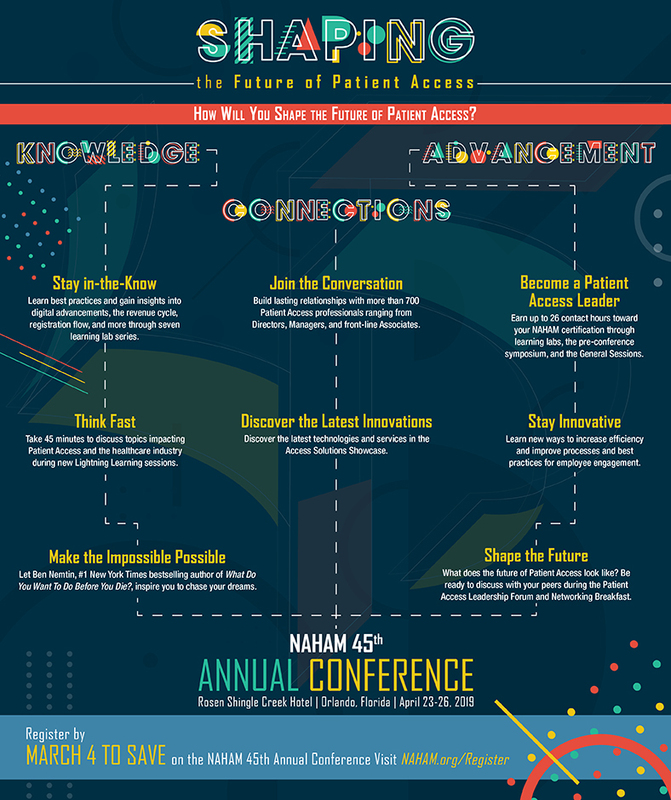 offers exclusive attraction tickets specifically for NAHAM Annual Conference attendees and their families. If you are planning on arriving early or staying late for vacation, to enjoy the many exciting theme parks Orlando has to offer. Please take a look at our special discounts. Visit our Learning Lab page to view descriptions and speakers for all of the sessions we have to offer, and craft your unique schedule that best suits your educational needs!